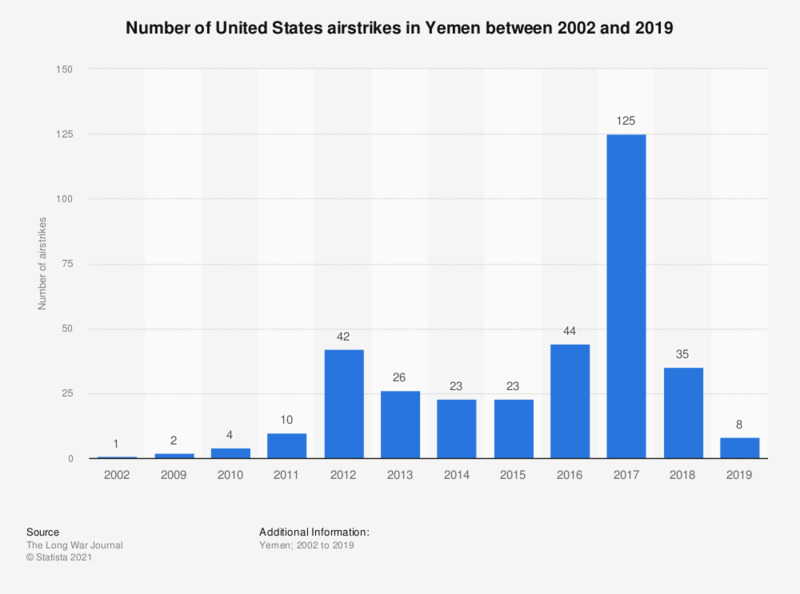 This statistic shows the number of U.S. airstrikes in Yemen from 2002 to 2019. In 2018, there were 35 United States airstrikes in Yemen. The Long War Journal presents figures from open sources, eg, media reports. Figures were taken from well-respected newspapers such as the New York Times and the Los Angeles Times. * as of February 22, 2019.